Submitted by Eternity on Sun, 06/07/2009 - 15:59. New York Times - As she describes it, Beth Jacobson and her fellow loan officers at Wells Fargo Bank “rode the stagecoach from hell” for a decade, systematically singling out blacks in Baltimore and suburban Maryland for high-interest subprime mortgages. 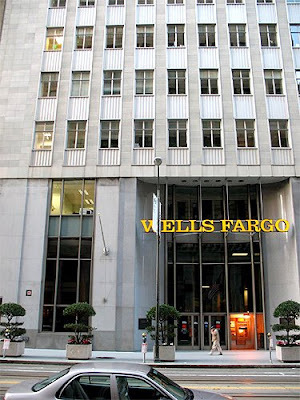 These loans, Baltimore officials have claimed in a federal lawsuit against Wells Fargo, tipped hundreds of homeowners into foreclosure and cost the city tens of millions of dollars in taxes and city services. Submitted by lmcshane on Sun, 06/07/2009 - 17:41. Eternity--I am concerned about some of the maps being drawn up in cities throughout America. Listing certain homes/houses/streets as distressed. There are some scary things happening in this country. Submitted by Eternity on Sun, 06/07/2009 - 19:24. I would have to agree. Yet ironically, since we now have a bi-racial President, who identifies himself as Black, I think there is a distorted impression that this country has "overcome" anti-Black bias; when clearly, this New York Times article indicates something very different. Jim Crow is alive and well; plain and simple. But for whatever the criticisms are that exists, institutionalize racial bias is very difficult to spot, because it's practiced in such a stealthy way. I point this out to say that often when people think of anti-Black bias, they usually visualize a gun-totin', blue-collar white guy, waving a confederate flag from the front porch of his double-wide trailer. When in truth, that brand of redneck is not always racist. And, even when they are, that particular economically-anemic, census of Whites don't really have enough political or fiscal power to cause lasting damage. The "trailer-trash" brand of racist seems to get all the blame for a problem that ultimately stems from the politically-savvy, bourgeois, white-collar, white-supremacist dining at the country club. Lets be clear. Afro-Black oppression has always been, first and foremost, about money. Too, just as we have a systemic foreign policy that discriminates against Palestinians and other Muslims and Arabs, we also have a systemic domestic policy, which keeps the majority of Blacks mired in poverty; even when they are doing the same job -- maintaining the same credit levels -- as Whites. These kinds of policies force our people into an Us against Them mentality, making us all more vulnerable, weak and afraid; leading our land to become a less united, Divided States of America. Submitted by lmcshane on Sun, 09/06/2009 - 02:36. Eternity--a local African-American church was sold a major property on a commercial corridor here in NEO. The former Brooklyn YMCA on Pearl Rd. for $125,000. I am watching this project, because I suspect that this is a set-up. I will keep you posted. Meanwhile, Wells Fargo and other subprime lenders are busy sanitizing their history of institutionalized racism. This is a large, large real estate game, intentionally too hard to fathom. I can't even begin to follow the state of Ohio cases against predatory lenders.